The prolonged conﬂict in Syria has left many Syrians powerless witnessing their future dissipates. The raw horror of war is deteriorating the education system at a rapid pace that more than 5 million young lives are at risk of becoming a lost generation.Many of the Syrian students are struggling to access basic education due to a number of reasons; forced displacement, unsafe conditions, lack of resources, and continuous attacks on their schools and their areas nearly every day. 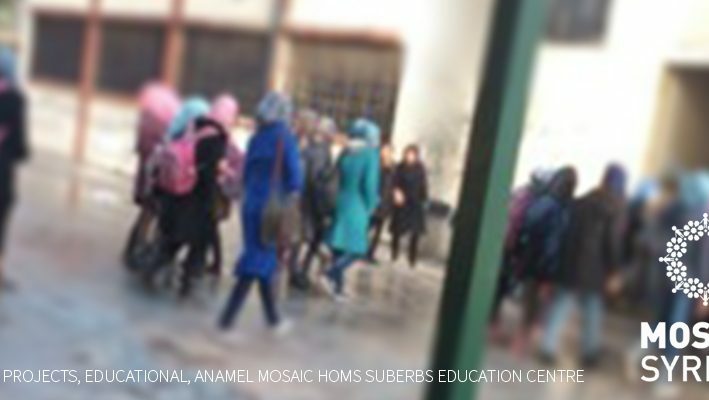 The current situation in many areas of Syria has led Mosaic Syria to search for alternative solutions to provide education to students deprived of basic education. This vision materialized in the form of an education project “Anamel” which started in 2012. 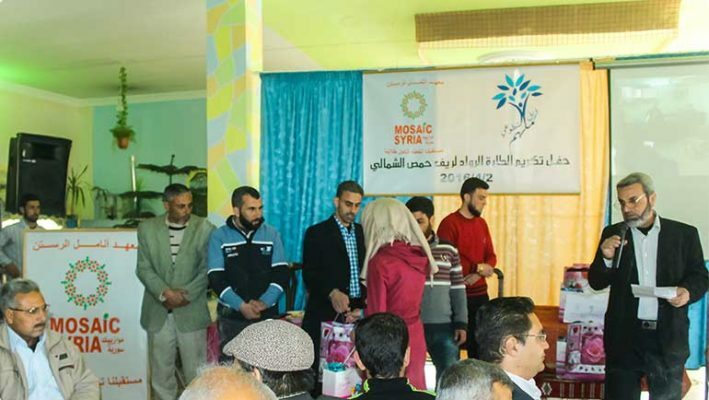 The aim of “Anamel” education project is to enable students to go back to school and obtain the opportunity to build their future, through establishing many schools in different areas in Syria. “Anamel” means ‘fingertips’ in the Arabic language that represent the idea that the future of Syria can be ‘drawn by the fingertips and achievements of its students’. “Anamel” education project is playing a significant role in the future development of many children and in creating employment opportunities for the local teachers in many areas. Hidden costs of accessing education are plenty. Transportation costs, books, uniforms, daily pocket money that discourages a large number of families living in poverty to send their children to school. 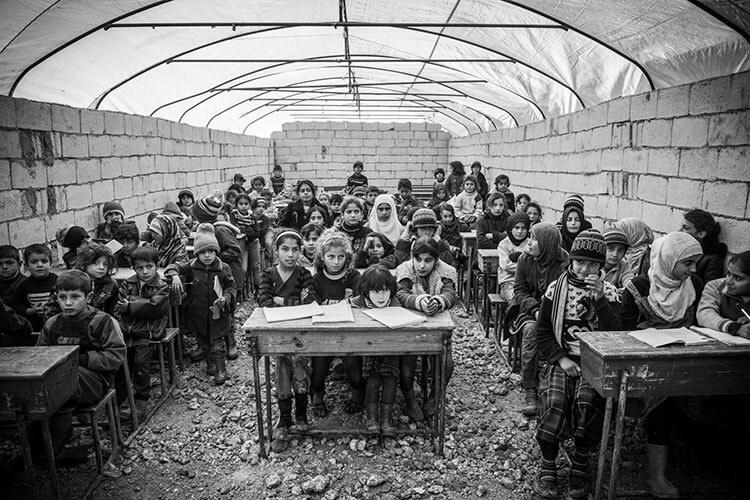 Additionally, the majority of the country’s schools has been destroyed or being used as shelters for the displaced people, and many teachers are unable to teach. Therefore, there was, and still is, an urgent need to provide emergency education to these students who are unable to pursue their studies and access education.